Forex brokers who are licensed by the Belize IFSC must now keep $500,000 in capital to retain their licenses. 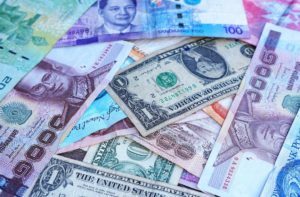 As the popularity of forex licenses in Belize has increased, the local regulatory body, the Belize International Financial Services Commission (IFSC) has decided to raise capital requirements to $500,000. The announcement has been publicly posted on the website of the Belize IFSC. To see the specific details, you can view the Statutory Instrument document here, where the new requirements can be found on page 6. This decision has been part of a common pattern we are seeing around the globe. In a similar example, Vanuatu recently announced that their capital requirements would increase from $2,000 up to $50,000. The reason behind such decisions is to capture additional capital due to popularity. Additionally, it also serves as a higher barrier to entry, which helps to preserve the reputation of the regulatory body. In short, quality is more important than quality for many regulatory bodies. For those looking to establish a forex license in Belize, this may no longer be an optimal consideration. Additionally, existing brokers who carry licenses may wish to consider another jurisdiction. Although the capital requirements don’t hold a candle to those in the United States, keeping $500,000 on hold without interest carries a massive opportunity cost. Fortunately, there are several more favorable jurisdictions which forex brokers can can choose from. At Atomiq Consulting we specialize in company formations and license services for forex brokers, financial firms, and crypto currency exchanges. We offer several alternative jurisdictions to Belize, many of which offer far lower capital requirements. In addition, our license offerings will provide the same benefits currently enjoyed in Belize. Contact us today to learn more about our offering.